Address: 1888 E. Thompson Blvd. Saturday, October 6, 2018 – ALL AGES!! 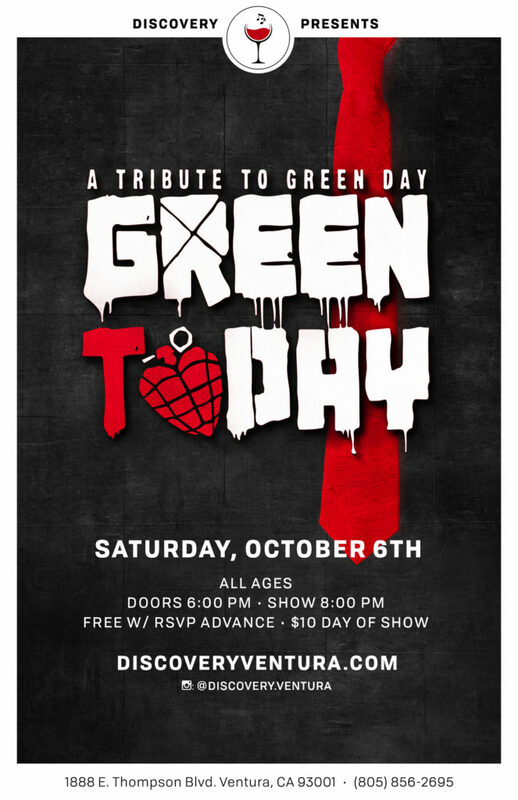 GREEN ToDAY – a tribute to GREEN DAY is performing LIVE at Discovery Ventura! Doors for the event will open at 10:00 PM and the show will begin at 10:30 PM. Be sure to – LIKE – SHARE – INVITE- this event to your friends and family on social media! Come in earlier and check out our amazing restaurant, bar and bowling venue before the show begins!